Sustained accuracy and long life are built into every LSC7000 Series remote platform scale. 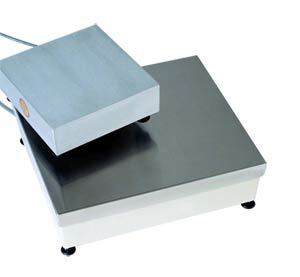 Their clean, durable design makes these scales ideal for weighing or counting applications. The 2 and 5 lb ranges have a 203 x 203 mm (8 x 8") aluminum cover and a rugged fabricated construction. Ranges 10 lb and up have 305 x 356 mm (12 x 14") stainless steel covers and a rugged cast structure. Both structures are designed to give years of accurate, trouble-free service.